Arthur Lockwood & Son Ltd.
Quality Bespoke Joinery including Wooden Staircases, Porches, Windows, Conservatories, Kitchen Units and Fitted Wardrobes. We can manufacture and fit any type of windows and doors, including arched, round, sash and bow windows to your specification in hardwood and softwood. 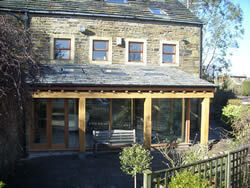 We can also supply brochures of ready made doors which we can supply and fit or we can fit doors supplied by you. 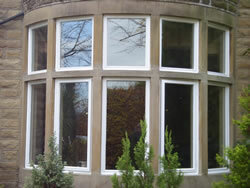 We can also manufacture and fit conservatories to your specifications in any shape or style. We are a small, friendly, local company, which was first established over 80 years ago. We pride ourselves on our good quality workmanship and much of our work is built on customer recommendation and satisfaction. Arthur Lockwood & Son Ltd, Quality Bespoke Joinery work including Wooden Staircases, Porches, Windows (including Sash), Conservatories, Kitchen Units and Fitted Wardrobes. Serving domestic and commercial clients (including builders and fitters) in Wakefield, Huddersfield, Denby Dale, Halifax, Leeds, Holmfirth, Dewsbury, and throughout West Yorkshire.